I have said often, if there is one thing I will forever want to photograph, it is maternity portraits. They have always been so beautiful to me, so miraculous. This precious moment in life, that is so inconceivably amazing. I remember both of my pregnancies pretty well, including all the bad and ugly bits; like swelling, restless legs, the never ending trips to the bathroom at 3am. But I also remember the best times, seeing those little beans on the ultrasound screen, hearing that precious, amazing heartbeats, and my favorite being the sweet, sometimes not so gentle kicks and jabs to my ribs. Capturing this moment in life, whether it be a first time mom or a mom of 5, it never gets old to me. Angie and Austin met me at the Drayton House, in Manning, South Carolina, to capture this special time in their lives. I absolutely enjoyed getting to know them both. Austin definitely kept Angie on her toes, full of silly jokes and laughs. I love when couples can let loose and relax. It makes for a laid back session, and more genuine emotion. These two have no dull moments, no doubt! Sweet baby Ellie is already loved by so many! I can’t wait to hear about her arrival in a few short weeks. 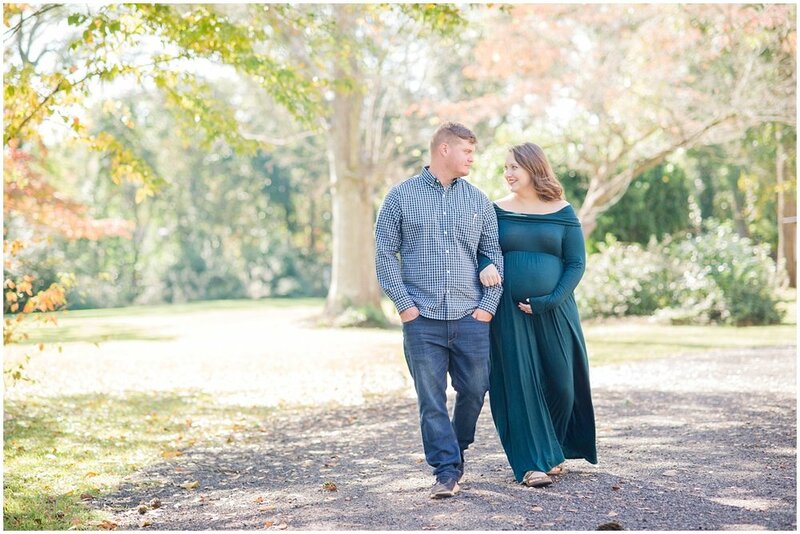 Check out this precious session of Angie and her sweet baby bump! Leave these new parents to be some sweet words of advice and encouragement.